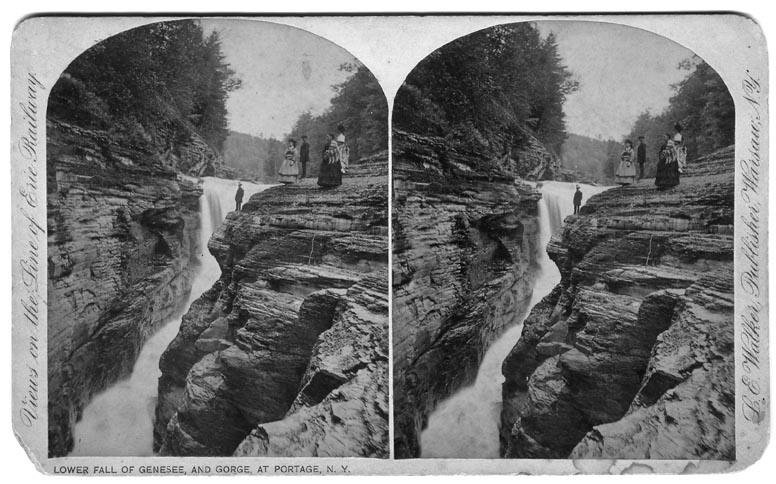 "Lower Fall of Genesee and Gorge at Portage NY"
"Views on the Line of the Erie Railway." This view is looking south into the Flume at the Lower Falls- a narrow channel of the gorge which the all the waters of the Genesee River had to pass through! 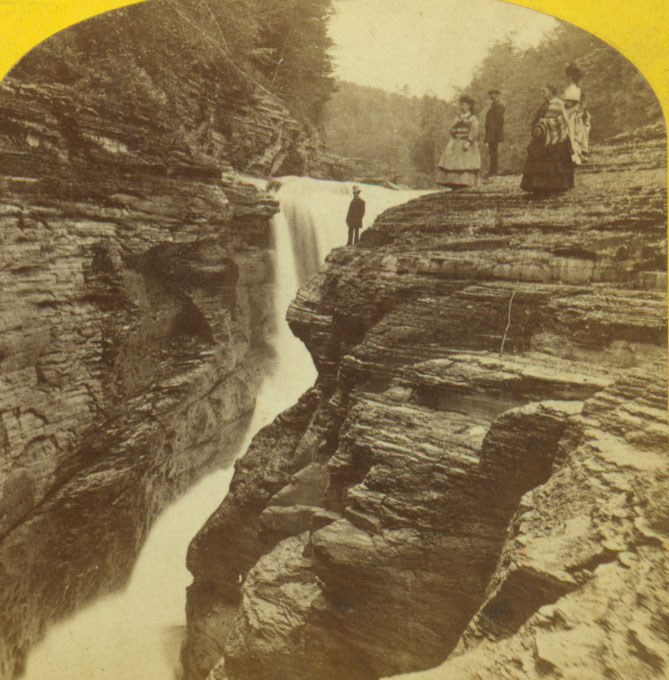 You can see the Lower Falls as it was in Mr. Letchworth's day in the background. A larger image is shown below. The modern day Lower Falls is barely visible beyond the bridge - note the vast changes in the the century that has passed since the original photograph was made. 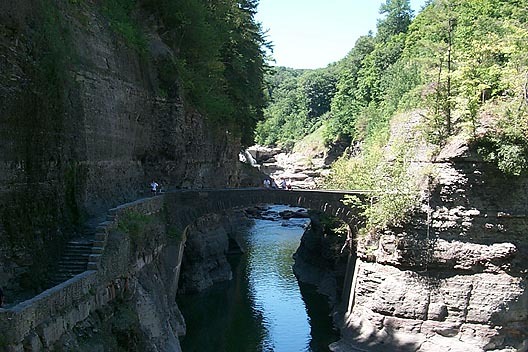 For more information see our Glimpse of the CCC and CCC Work Projects in Letchworth Park.